Here's a cathedral radio I've never seen in decades of collecting. It's a six-tube set with good performance and great looks. 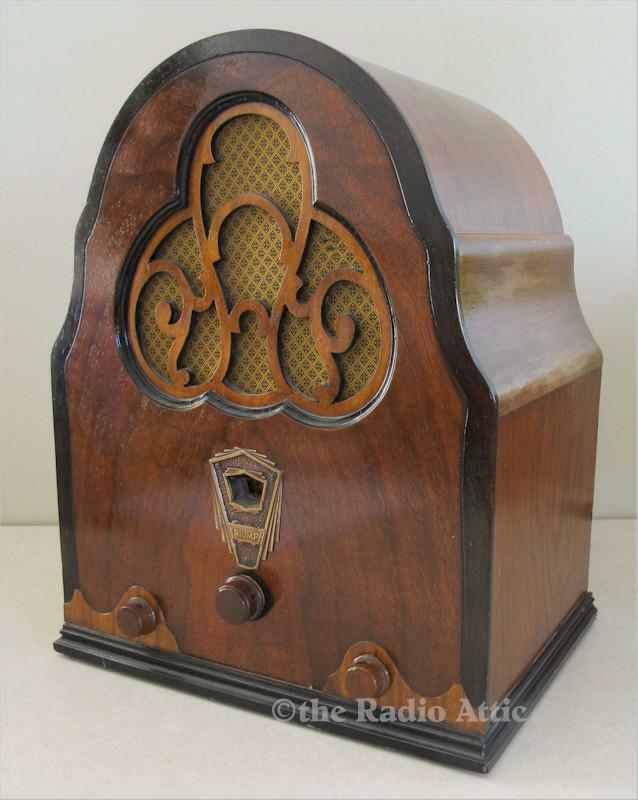 The cabinet has a somewhat complex side design that seldom appears on most cathedral-style radios of this era. There is some natural finish loss on the sides but I suspect that's because the unusual wood species used in those areas didn't accept the original factory toners very well. A prior owner restored the radio and it's ready to be part of your collection. It has new grille cloth and a new cloth power cord. 21 pounds; 16-1/2"H x 13-1/2"W x 10"D.